Research openings: I welcome PhD and MD postdoctoral candidates interested in working on any of the research listed below. Experience in a relevant methodological area (e.g. nonlinear dynamics) and domain area (medicine, physiology) would be ideal. I also welcome Columbia graduate and undergraduate students. 1. Phenotyping. My work in decision support led me to realize that the main obstacle was our inability to exploit clinical data effectively. I therefore helped to create the informatics field now known as “phenotyping” with early publications in use of symbolic reasoning and machine learning to map raw health record data to clinical concepts. My work continues in this area to this day. a. Hripcsak G, Johnson SB, Clayton PD. Desperately seeking data: knowledge base-database links. Proc Annu Symp Comput Appl Med Care 1993:639-43.
b. Wilcox A, Hripcsak G. Knowledge discovery and data mining to assist natural language understanding. Proc Amia Symp 1998:835-9. 2. 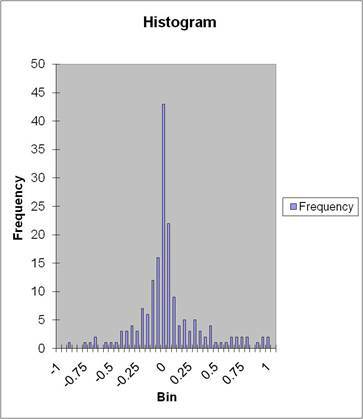 Use of non-linear time series analysis in clinical phenotyping. My recent work in phenotyping has turned to the use of non-linear time series analysis to improve use of clinical data and understanding of physiologic processes, and I have begun to study the health care process itself and how it affects the recording of data so that we can reduce the bias associated with observational studies. This time series work was published not just in the top informatics journals, but also in top physics journals in non-linear science. a. Albers DJ, Hripcsak G. A statistical dynamics approach to the study of human health data: resolving population scale diurnal variation in laboratory data. 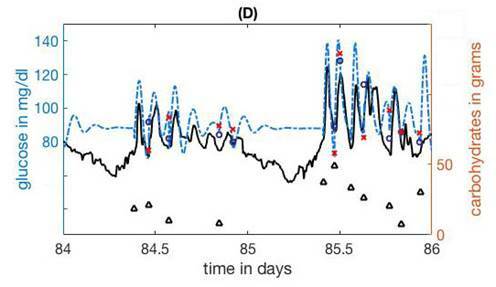 Physics Letters A 2010;374:1159-64.
b. Albers DJ, Hripcsak G. Using time-delayed mutual information to discover and interpret temporal correlation structure in complex populations. Chaos 2012;22:013111; doi:10.1063/1.3675621. c. Hripcsak G, Albers DJ, Perotte A. Exploiting time in electronic health record correlations. J Am Med Inform Assoc 2011;18:Suppl 1 i109-i115. d. Hripcsak G, Albers DJ, Perotte A. Parameterizing time in electronic health record studies. J Am Med Inform Assoc 2015 Feb 26. pii: ocu051. doi: 10.1093/jamia/ocu051. 3. Observational research and bridging phenotype and genotype. As PI of the Observational Health Data Sciences and Informatics (OHDSI) coordinating center, I assist the research community with its 600-million patient-record network, developing and applying new methods in observational research. As a PI on the Columbia eMERGE grant, as a PI of the Columbia PMI Cohort Program regional healthcare provider organization, and as site PI for Columbia’s role on the PMI Cohort Program Data and Research Support Center, I work in converting electronic health record data to a form useful for correlating with genomic information. c. Duke JD, Ryan PB, Suchard MA, Hripcsak G, Jin P, Reich C, Schwalm MS, Khoma Y, Wu Y, Xu H, Shah NH, Banda JM, Schuemie MJ. Risk of angioedema associated with levetiracetam compared with phenytoin: Findings of the observational health data sciences and informatics research network. Epilepsia 2017 doi: 10.1111/epi.13828. 4. Electronic health records and automated decision support. My earliest work was in health knowledge representation and decision support. I led the creation of the Arden Syntax, which is a standard for representing health knowledge related to alerts and reminders. It was adopted as an international standard and today sits under the Health Level Seven (HL7) standards organization. Paralleling my career-long work building and running electronic health records and setting national policy for health records (co-chairing the Meaningful Use Workgroup), I have been publishing on the use and effect of health records. a. Hripcsak G, Hripcsak G, Ludemann P, Pryor TA, Wigertz OB, Clayton PD. Rationale for the Arden Syntax. Comput Biomed Res 1994;27:291–324. b. Shea S, Hripcsak G. Accelerating the use of electronic health records in physician practices. NEJM 2010;362:192-5.
c. Hripcsak G, Vawdrey DK, Fred MR, Bostwick SB. Use of electronic clinical documentation: time spent and team interactions. J Am Med Inform Assoc 2011;18:112-7. 5. Natural language processing evaluation and temporal processing. I developed new methods for evaluating natural language processing and published the first large-scale evaluation of natural language processing in health care, followed by the first prospective trial demonstrating that natural language processing could improve health care quality (respiratory isolation). I subsequently published studies showing use of natural language processing for quality measurement and for public health surveillance. I developed new methods for temporal data in narrative reports with a demonstration of its performance. a. Hripcsak G, Friedman C, Alderson PO, DuMouchel W, Johnson SB, Clayton PD. Unlocking clinical data from narrative reports: a study of natural language processing. Ann Intern Med 1995;122:681–8. 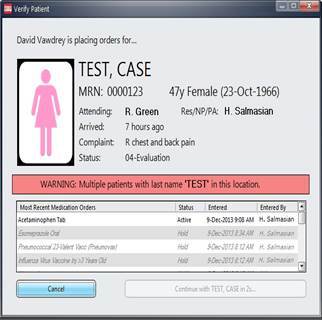 b. Knirsch C, Jain NL, Pablos-Mendez A, Friedman C, Hripcsak G. Respiratory isolation of tuberculosis patients using clinical guidelines and an automated clinical decision support system. Infect Control Hosp Epidemiol 1998;19:94–100. c. Hripcsak G, Zhou L, Parsons S, Das AK, Johnson SB. Modeling electronic discharge summaries as a simple temporal constraint satisfaction problem. J Am Med Inform Assoc 2005;12:55–63. 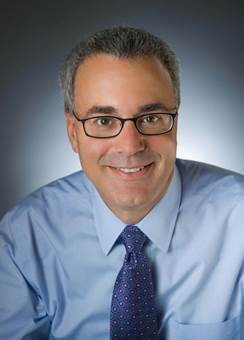 As Director of Medical Informatics Services for NewYork-Presbyterian Hospital/Columbia, I oversee the clinical data warehouse, terminology, iNYP, immunization, and physician outreach and collaborate on clinician documentation, health information exchange, and patient portals. We offer programs at all levels of informatics training, including PhDs, master's degrees, postdoctoral fellowship, certificate training, and education for students in medicine, nursing, dentistry, and public health. See www.dbmi.columbia.edu. I am accepting Columbia graduate and undergraduate students, and I have slots for postdocs in my areas of research.